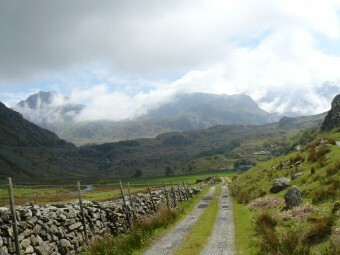 The Thomas family have been farming in the Nant Ffrnacon valley for over 320 years. “It was my dream for 27 years, whilst working for other farmers, to farm for myself and bring back the balance that existed between nature and farming during my upbringing I remember how this area looked – things were done for a reason, so I was keen to combine the old ways with modern technology”. In 1996 Gwyn was given the opportunity to become a tenant for the National Trust, managing a 321ha hill farm in the Nant Ffrancon valley. Blaen y Nant sits at Cwm Idwal, the head of this deeply glaciated valley, and Gwyn is now the only full-time farmer left in the valley. As an organic farmer Gwyn manages the farm as a traditional beef and sheep hill system, with some goats and pigs. He runs a herd of 30 native Welsh black breeding cows, and 320-50 Welsh mountain ewes as hefted flocks, maintaining traditional shepherding across the surrounding mountain terrain. Over winter the cattle are taken to a farm in Conwy to graze on the saltmarsh, whilst the ewes are taken to Derbyshire. Gwyn appeared on a BBC documentary ‘Year in Snowdonia’ where he was followed for a year as a shepherd – “It’s sad to see the loss of shepherding skills – there is nothing better than getting out on the hills every morning with my dogs to check the stock”. Until 5 years ago, Gwyn used to supply his meat to a big supermarket chain, but gradually became disillusioned as the supermarket reduced the premium he received for his organic meat, increased the criteria he needed to fulfil and wanted meat all year round, yet prices increased in store. Combined with increased haulage costs Gwyn decided it was time to change. As a qualified butcher and having the ability to rear and finish his products, Gwyn decided he could add value by direct selling meat to his friends and families. 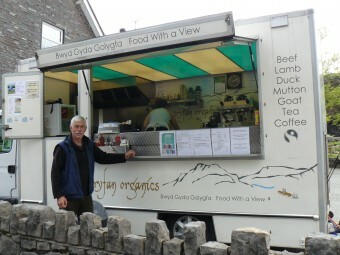 He has recently invested in a trailer to sell his cooked meat within the boundary of his tenancy within the National Park and take the trailer to some events, however disputes about the location of the trailer with the National Park Authority have stopped Gwyn from trading for the time being. “Nowadays people work in towns and use large supermarkets to shop; they have become detached from the land and local produce. My customers understand my meat is a seasonal product, and know when the meat is ready. I employ local people to help me at events and spend my money in the local rural economy. We need a structure in place that recognises good quality British food”. Gwyn’s farm is important for bird spe cies such as twite, ring ouzel and chough. 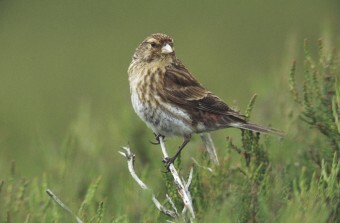 Although never common, twite was formerly relatively widespread in the uplands of north Wales, but now they are restricted to the Nant Ffrancon and Llyn Ogwen areas of northern Snowdonia. Even here they have declined in recent years, with just 14–17 breeding pairs recorded in 2008 compared to 20–40 pairs in 1999. The terrain is steep and much of the land supports SSSI habitats like blanket bog, traditionally managed hay meadows, dry heath, and ffridd and important plant communities such as arctic plants, ledge and shelf communities including species like the Snowdon Lilly and tufted saxifrage. 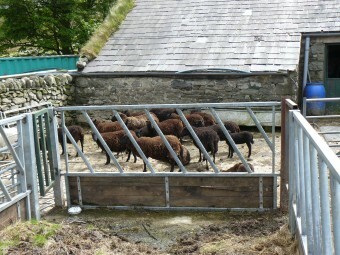 The farm receives financial support via an agri-environment scheme agreement, and Gwyn also runs a B&B on the farm. 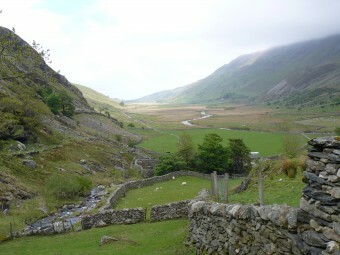 The Tir Gofal scheme ended 2013, and Gwyn has been invited to join the higher level Glastir. “I couldn’t survive without Single Farm Payment & agri-environment support. These schemes are important for keeping farming and families in the hills and ensuring that the wildlife that lives with us can thrive. The more I combine conservation with my farming practices, the more I enjoy it and can see how it improves my farm and the wildlife around me. Although we must embrace Glastir, we must also encourage young farmers into the hills by continuing to farm these valleys as they have always been farmed – sustainably”.